Find Real Estate in Spring Beach, Inwood, Stone Oak, San Antonio, Schertz, Alamo Heights, Schertz, Cibolo, Boerne, New Braunfels, TX and Surrounding Areas! If you’re looking at San Antonio homes for sale for relocation or planning a military transfer, we want you to know why you’ll love living in San Antonio. San Antonio is America’s seventh largest city, and it’s growing fast. The mix of rich history and a forward-looking attitude gives San Antonio its unique culture. The River Walk sets San Antonio apart from other large cities because it provides a place in the heart of downtown where you can see San Antonio at street level and choose among the many restaurants and shopping opportunities including new “Hip” downtown living lofts and condos. It’s also a wonderful place to hop on a river taxi to enjoy the beauty of the winding river from downtown, through the new revitalized Pearl Brewery District at the San Antonio Zoo . When you’re looking for a San Antonio home, you’ll have a lot to choose from. The growing communities in North Central San Antonio and the revitalized downtown areas might be just what you’re looking for. Places like Stone Oak, Sonterra, Rogers Ranch, Inwood, Alamo Heights, downtown San Antonio and Boerne are popular destinations. If you’re in the military, you can find many options with close proximity to any of our military bases and hospitals. Call us at 210-215-7440 or send an email when you’re ready to make a move. You’ll be glad you did! An Award-Winning Team in 2010, 2011, 2012, 2013, 2015 and 2016! 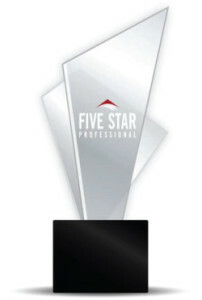 Texas Monthly FIVE STAR Real Estate Agents are selected as a result of a rigorous research process. The resulting list represents no more than 2% of the real estate agents within their market area. This award is presented to us for "Customer Satisfaction". Knowing our wonderful Clients chose us for excellent customer satisfaction over thousands of others in our industry, is the best award we could have ever received! Thanks to all of you who took the time to participate in the Texas Monthly Survey. We humbly appreciate the kudos! Priscilla Allen has been rated by 28 clients. “Priscilla Allen has the knowledge and understanding beyond what it takes to sell a house. Her experience and dedication showed in every text message, phone conversation and email. She has exceeded our expectations!!! “Above and beyond duty does not begin to describe the work Mrs. P did for me. She is a top-notched professional! I was kept informed of all activities during the process. This was critical because all of the business was conducted via telephone and email. The home was in San Antonio, Texas and I reside in Chicago, IL. She kept her promise " Do not worry honey, I got this...I am your mama now!" I was most impressed when we had a major issue (not her doing) and Mrs. P handle this situation with professionalism, class, grace and elegance. If I am in the market to buy in San Antonio again, I cannot imagine working with someone other than Mrs. Pricilla Allen. What a blessing...thanks P! It was truly a blessing that I found Pricilla...she came HIGHLY recommended by another agent. I needed a beast for a Short Sale and she introduced me to Mrs. P. I could have not asked for more! “Priscilla Allen was very thorough when it came to planning up front for the sale of our home. She went above and beyond to have good data so that our home was priced right and had good knowledge of the market in the area. Priscilla has a great eye for making a home look "show ready". I completely trusted her with staging ideas for the house and I feel that made all the difference in our home selling. The online pictures were amazing, she was very detailed. We had several showings from the great pictures and description of our home online. The entire process went very smoothly. Priscilla kept us updated and we always knew where we were in the sales process. “She entered the discussions with enthusiasm and energy. She was honest and open about the things we needed to do to optimize the potential of selling our house. We took all of her advise to heart, and it must have worked; the home sold in one week. “I couldn't have asked for a more qualified and respected agent. She exceeded every expectation I had and I consider family now. Priscilla, was there for me every step of the way. The best agent I've ever worked with. Goes above and beyond! And this was a great experience.